Happy Friday everyone! I've been a little MIA since our last pattern release. Back to back colds have run through our house and we are all finally starting to feel better. Which means I have pulled out my crochet hook again to finish up some patterns that I'm excited to share with you! One of them are these fun little stuffed hearts! I'll be using them in a new pattern that you can find here! 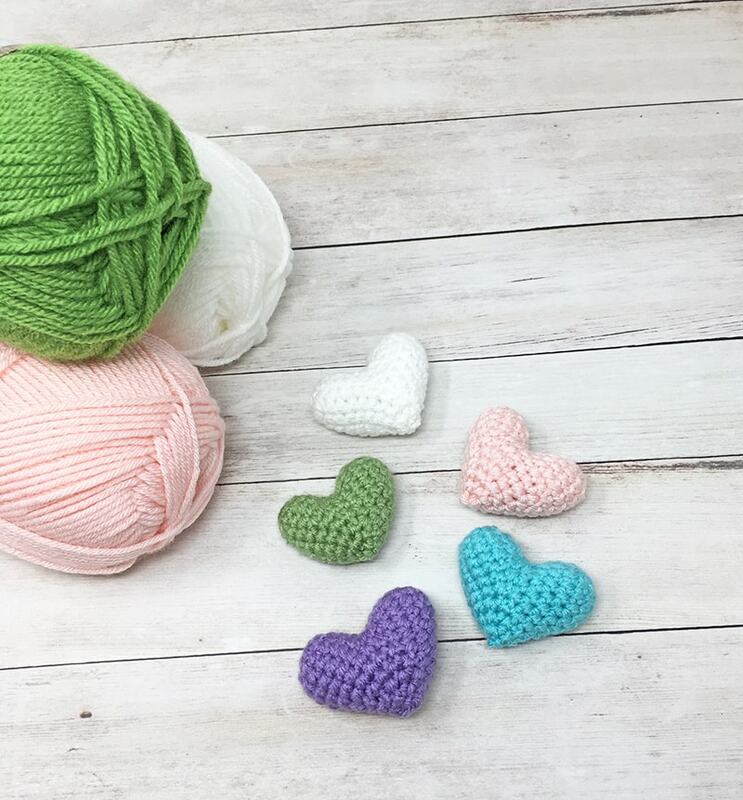 Feel free to use another size hook or yarn if you'd like a smaller or bigger size heart. I think they could be quite fun with some safety eyes and facial expressions added too! Don't want to miss any upcoming patterns? Be sure to subscribe to my newsletter and I will keep you in the loop! Feel free to join the Grace and Yarn Crochet Group on Facebook too! We'd love to see what you've been working on, plus it's a great place to ask questions and engage with others who love to crochet! PIN to your favorite crochet board here to save for later! You may make and sell items made from this pattern but please do not sell, share or reproduce the actual pattern. If you sell finished items online (Etsy, etc) please provide a link to the pattern and credit to me as the designer, thank you! I hope you enjoy this pattern! You will want to be familiar with working in a magic circle and using invisible decreases. I have a few examples below to get you started, for more amigurumi tips head over here! 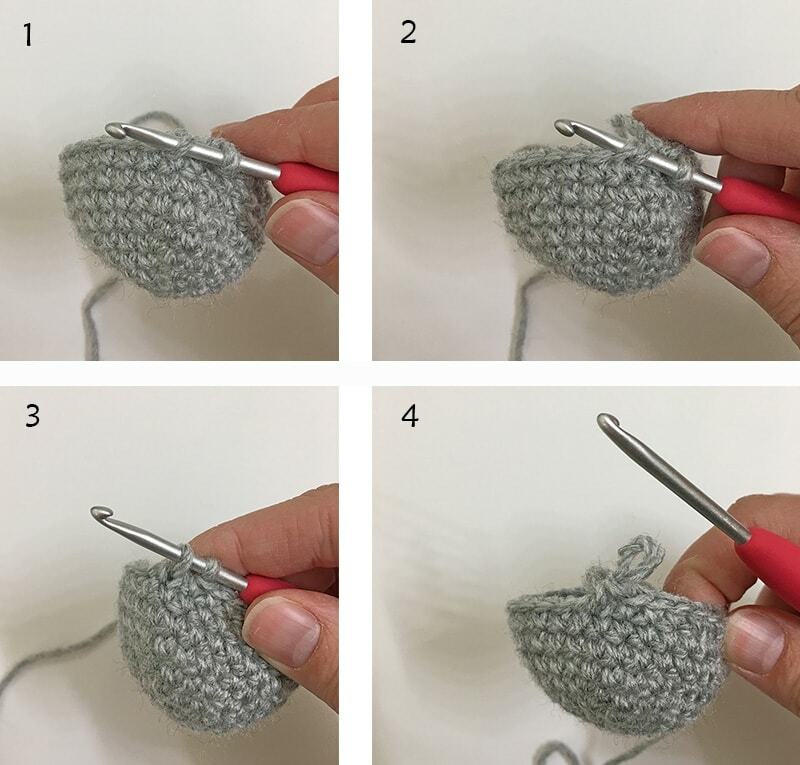 A magic circle (also called an adjustable loop) is the most common way to start amigurumi. 1. Leaving about a 4 inch tail wrap the yarn into a circle as in the photos below. 2. 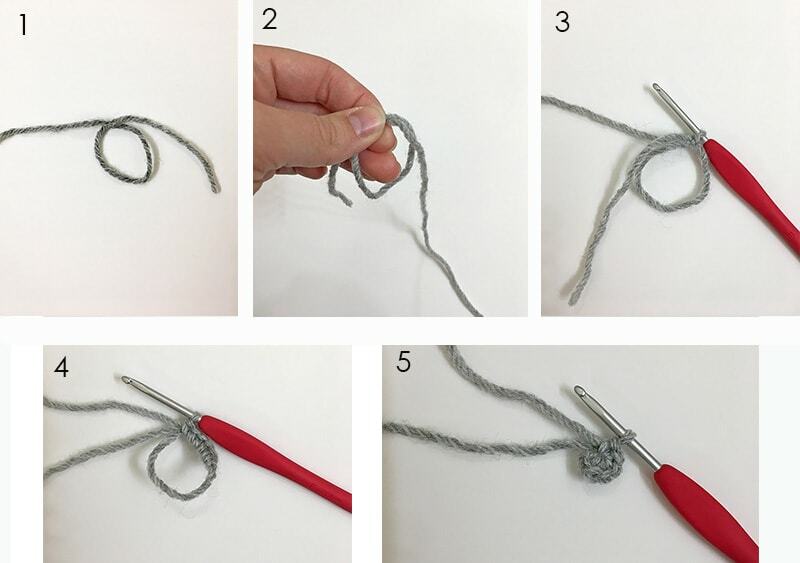 Hold the loop by placing your fingers over the part where the working yarn crosses over the tail. 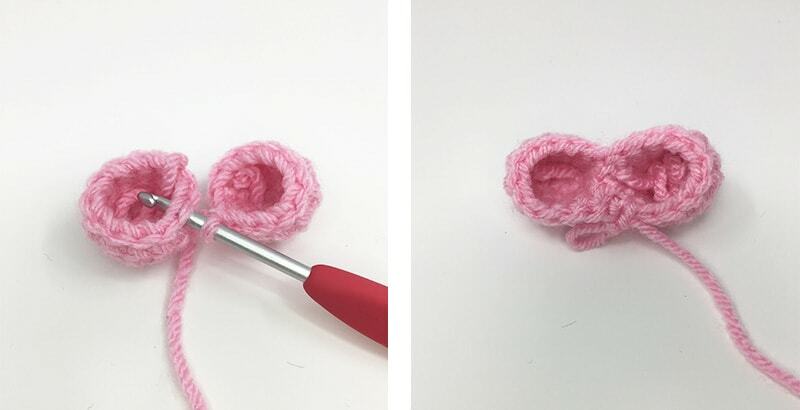 This is the preferred way to decrease in amigurumi, it keeps the decrease tight and avoids the 'bump' of a regular SC decrease. An invisible decrease happens over two stitches, insert your hook into the front loop of the first stitch and then into the front loop of the second stitch (you will have 3 loops on your hook), yarn over, pull through two loops (you will have 2 loops left on your hook), yarn over again and pull through all loops on the hook. Note: The heart is made with two pieces joined together. Make two pieces using rounds 1-4. At the end of the 2nd piece do not fasten off, proceed to round 5 to join them together and make the body of the heart. **I recommend using a stitch marker either at the beginning or end of your round, slowly stuff as you go. Round 5: Attach to the first piece with a SC. SC around the first piece and then the second (24 SC) This completes your join and is where your next round will start, from here we will work the rest of the heart. Fasten off and sew remaining part closed. 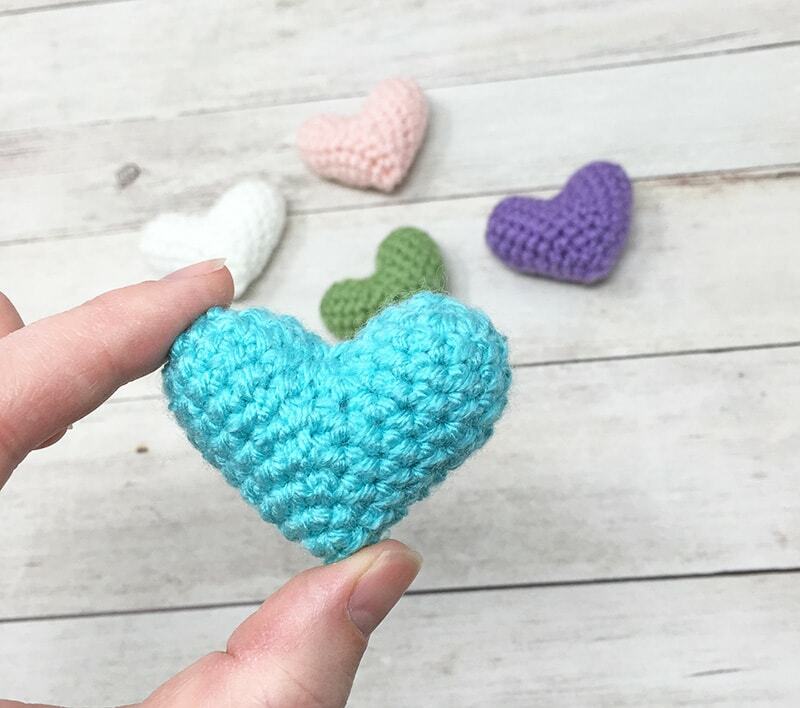 Your mini amigurumi heart is done, easy peasy! I hope you enjoyed this tutorial! 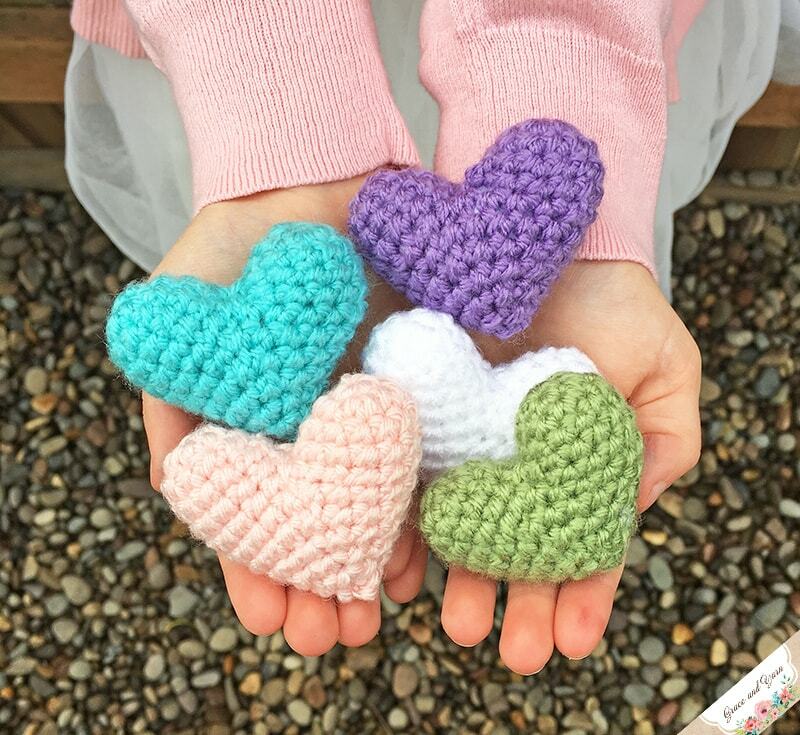 Check back next week for a new pattern where we'll use these fun little hearts! Thanks so much for stopping by! Beautiful little hearts! They will make cute heart key chains! Thank you so much for very detailed pattern! 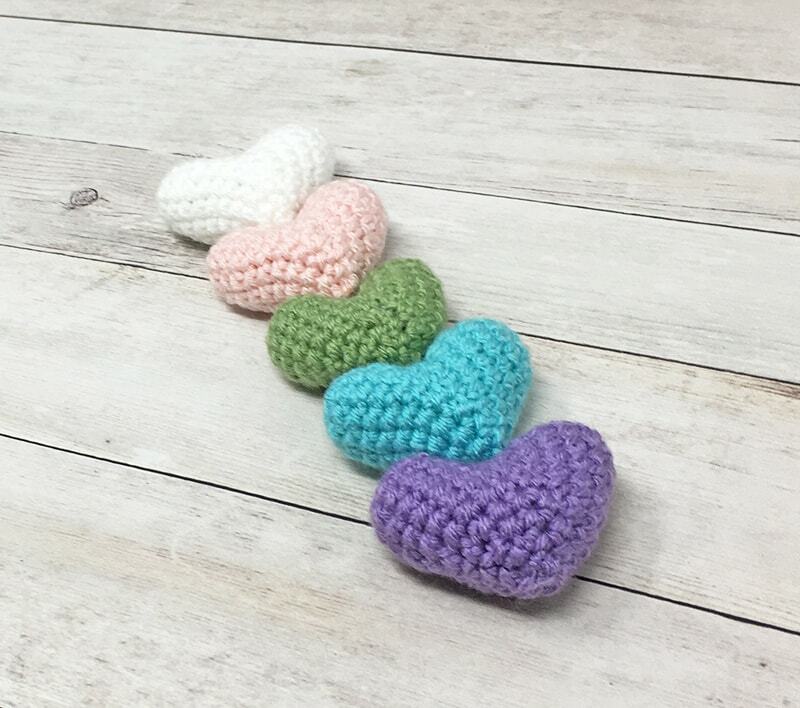 These hearts are spectacular, and they look real easy to make. So cute! Just the perfect size for so many projects :) Nicely done!